Yo-Yos There are 110 products. 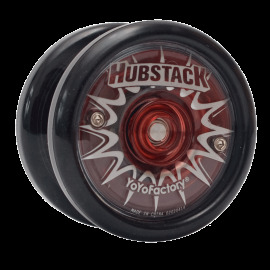 The One is an entry level yoyo from YoyoFactory, classic butterfly design offers easy string tricks the one is a perfect yoyo for novice to advanced play. Developed in conjunction with Dave Bazan, the DV888 models itself on the popular DV8 yoyo of BuzzOn fame. 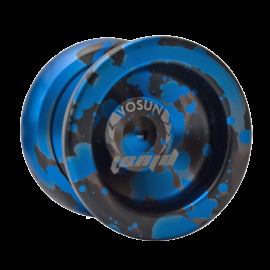 The shape is unique among the YoyoFactory range, a solid player with fantastic annodizing. This is the first yoyo in the YoyoFactory range aimed at offering players value and function whilst maintaining the YoyoFactory precision and attention to detail. The Plus One is the first undersized yo-yo from Vosun. It has a step-rounded shape with a very ergonomic sloping profile, making it comfortable to hold. 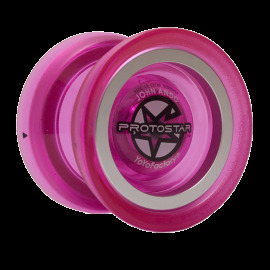 A fantastic metal yo-yo for the price, an ideal first metal that won't disappoint! With a precise bearing system, the Raider is engineered to provide the ultimate balance in response, speed, and spin time. Among world and national Champions, the Raider is used for extreme looping play and is the recommended choice for any progressing player.